Hi There, We Are Now Live With Medlife Cashback Offer. Cashback Is Valid On Medicines Only. You Can Buy Medicines Worth Rs. 1200 & Pay Via Paypal To Get Flat 25% cashback upto Rs 250 [All users] + Flat Rs. 200 FKM Cashback. 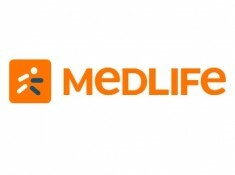 PayPal & FKM Cashback Is Valid Only For New Users Of Medlife!! 25% PayPal cashback upto Rs 250 during offer period (8 April – 10 April). How To Grab Flat 25% cashback upto Rs 250 [All users] + Flat Rs. 200 FKM Cashback ?? 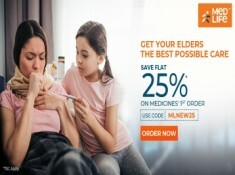 Medlife is India’s leading online medicine stores. It is a one-stop destination for all your medical needs and your anytime and anywhere health assistance. With Medlife you can order medicines online and get them delivered at your doorstep. You can easily order medicines by uploading your prescription, get expert advice on call or get lab tests done. Medilife offers all the mentioned services at unimaginable discount rates. You can avail many Medlife offers time to time and use the Medlife promo codes in the payment procedure to claim the discount. You also can earn extra Medlife E-Cash points to avail discounts on your future purchases. Medlife E-Cash Points are basically E-money earned by users after successful shopping with Medlife. Medlife E-Cash or E-Cash points are provided to the customers when they order medicines online during any promotional offers on Medlife. One can avail these points by using relevant promotion coupon codes to receive Medlife E-Cash points. At every successful transaction, the eCash points will be calculated and added to customer’s account. E-cash points are added to the user’s account only after the said product has been delivered. How to Redeem Medlife E-Cash? You can use these Medlife E-Cash points to get a discount on your next order in the next successful transaction on Medlife. Shop as usual at Medlife online store by uploading the prescription for the medicine you want to buy or directly choose your medicine and place the order. On the payment page, you will find the option to use your Medlife E-Cash points to get discount on your purchase. The maximum amount of E-cash points which can be redeemed on a particular user’s purchase is 10%. FKM Exclusive - 100% Cashback at Medlife !! Grab Now !! davidraj can i buy only medicines or anything of Rs.800/-? and new user means for medlife new user or freekamaal new user? geluliti You Can Buy Only Medicines !! New users of Medlife ! !